"I learned how to be wealthy because I asked the right questions when I was broke." There's a lot of truth in Mark Cuban's quote "I learned how to be wealthy because I asked the right questions when I was broke." Asking the right questions is often overlooked and in truth I see it as quite a skill. We can not learn anything by ourselves and need the help and expertise of others to help propel us forward in the areas we are looking to grow. So, Kirk and I decided to change things up this week and bring to you a raw, unedited show that is a recording of a recent Live Q & A call that we had with some new investors. While it's great to have interviews and insights from Kirk and I, there's a lot to be learned from listening to others ask questions. While it's fun to be the one asking the questions, sometimes there are things that we don't think about that others do and allow us to learn from their own thinking. 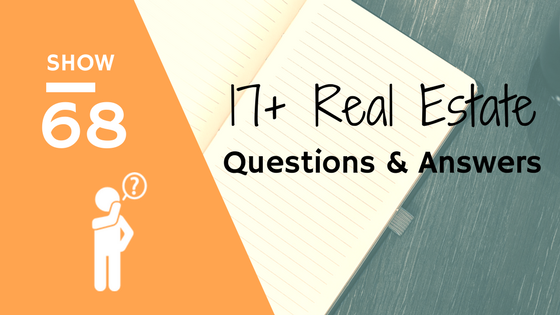 So we are bringing you this live Q & A call in an effort to help you think outside of the box and broaden your scope of thinking when it comes to investing in rental property.